–How well do fine wines from Paso Robles age? Vintners understand that most American wine drinkers age their wine only slightly longer than the drive home from the market. Yet, as in all world-class wine regions, optimistic Paso vintners often create reserve bottlings or special cuvées they sell with the hopeful suggestion that these exceptional bottles will age five years or longer. Paso is still a new enough wine region that for most wineries anything over a few years old is considered a library wine. But I wanted to rummage around in the wine library of a true Paso pioneer winemaker to see how truly older vintages stood the tests of time. 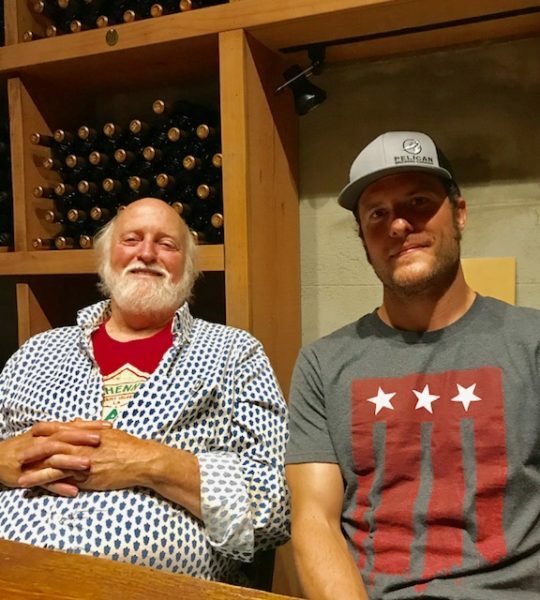 So it was an honor when John Munch, who has been in the wine business for more than three decades, invited me to his cellar for a tasting of his library wines from Adelaida Cellars and Le Cuvier. How, I wondered, would Munch’s quirky, hands-off, non-interventionist approach pay off in wines a decade or two old? On a hot summer’s day, we settled in the coolness of his cellar tucked under the winery in the Adelaida district. We are joined by associate winemaker and manager Clay Selkirk. “What do you want to taste?” Munch asked. We had a choice of a vertical tasting or a random selection of Munch’s library wines. I opted for the latter. So a few dusty bottles were pulled from a selection of some 6000 bottles neatly stacked in the intimate cellar. A throwback to the 1960s Berkeley hippie days, Munch moved to Paso Robles in 1978 and got his start working at Estrella Winery. “I was processing their sparkling wine,” recalled Munch. 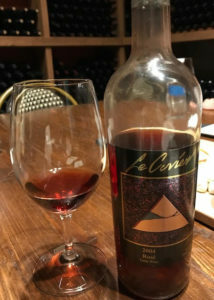 At the time he had purchased property on Vine Hill Lane (location of the current Le Cuvier winery), which served as the original bonded site for Adelaida Cellars that Munch founded in 1981. He and his partners soon moved up further west where Adelaida Cellars wines were produced. While at Adelaida, Munch continued to make his own brand of Le Cuvier wines in the funky shed on Vine Hill Lane. He left Adelaida in 1999 and focused on building a brand new winery and tasting room at Le Cuvier, which officially opened in 2011. Another of Munch’s mantra is to age his wine sur lie (wines left in contact with the lees or spent yeast in the barrel) for three years, before racking the wine. Not a big proponent of adding sulfites, Munch admitted that at this stage he might add a little sulfite. “Sulfites don’t prevent oxidation, but just delay it,” he commented. 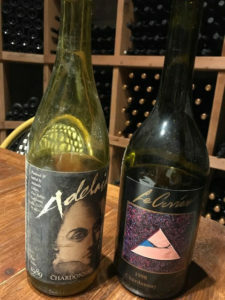 We compared the 1989 Adelaida Cellars chardonnay with the 1998 Le Cuvier chardonnay, which had a viscosity and richness to it because of three years on sur lie in neutral barrels, Munch explained. With fragrant pineapple notes, the 1998 chardonnay has many years of aging ahead. Next came a 2006 late harvest zinfandel that has been resting in old barrels sur-lie and lost its color. And when will it be released? “When we get around to it,” said Munch nonchalantly. Munch is big on old (neutral) barrels which he purchases from other wineries. Munch is upfront about some of the older vintages where he may not be sure of the varietal or vineyards. At 15.6 percent, the wine had high alcohol for a rosé due to wild yeast. “Higher alcohol is the least of my considerations,” Munch expressed. “I’m looking at sensory feel and physiological maturity.” Indeed the deep rosé had sensuality to it with perfumy fragrance and traces of residual sugar. 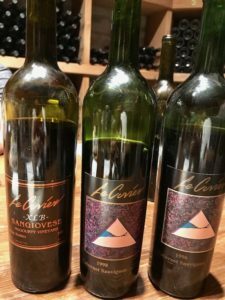 Munch recalled the story behind the 1998 Le Cuvier cabernet sauvignon that followed in our tasting lineup. “When we were trying to sell it in 2002, people found it lacking as a big Paso wine,” Munch explained. Today, however, the 100-percent cabernet has an elegant old-world quality like a sophisticated Bordeaux wine. We compared it with the 1996 Le Cuvier cabernet sauvignon, an older wine that actually tasted more youthful as it was loaded with lush fruit. Next is line was a Le Cuvier Pentimento, a wine made in the solera process (blending younger wines with older wines), beginning with the 1998 vintage. This one was labeled 2001 but Selkirk pointed out that the wine is designated by the bottling year and not vintage. Grape varieties also change every year. It’s mostly Bordeaux varietal grapes, Munch added, but there might be some zinfandel or syrah as well. We then tasted a 2001 Le Cuvier XLB sangiovese, which Munch referred to as “still a child.” It’s not produced anymore. With 60 months of barrel age, the wine showed remarkable acidity. Of all the bottles we sampled, again selected at random, none was flat, flabby or even on a downward slope. Savoring John Munch’s library wines was quite an experience that revealed how cellar-worthy Paso wines can be. His library wines are uncorked only for intimate private tastings and by appointment. “Even though they are not available for sale, people can start collecting,” said Munch. Honeycutt has more than 20 years of experience as a wine consultant and wine journalist. Currently, she is the California contributor to Sommelier India Wine Magazine. 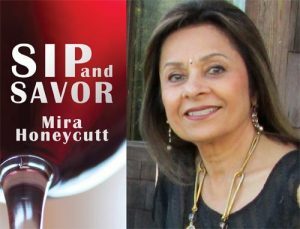 Her wine and food coverage has been published in the Harper’s Bazar India, the Asian Wall Street Journal, Hong Kong Tatler, The Hollywood Reporter, USA Today, Los Angeles Magazine, Los Angeles Times and www.zesterdaily.com. She was a contributing wine blogger on the highly popular Los Angeles radio station KCRW’s Good Food blog. Honeycutt is also the author of “California’s Central Coast, The Ultimate Winery Guide: From Santa Barbara to Paso Robles,” as well as the curator of the soon to be published book, The Winemakers of Paso Robles.